Players on the PGA Tour continue to hone their game ahead of the 2018 US Masters at Augusta this April. While some of the leading hopes such as Dustin Johnson will be absent from the Arnold Palmer Invitational which runs from March 15 to 18 – other big names are looking to boost their confidence by winning the event. Not least, Tiger Woods (currently 10/1 for US Masters betting), whose impressive performance at last week's Valspar Championship has caught the imagination of the media and golf bettors alike – with the star remaining one of the biggest draws in the game, despite not having won a PGA Tour event since August 2013. With Woods having a real affinity for Florida, the top bookies are fearful of the Tiger roaring again – something that makes plenty of appeal for golf bettors ahead of the Arnold Palmer Invitational. However, with money justly coming for The Tiger, it's also creating real each-way value on other players looking ahead to the US Masters. The world has been waiting for the return of the Tiger Woods who at one time touched true greatness. And even if he never reaches those heights again, most golf betting fans and media pundits would love for him to show some of the old Tiger magic and at least contest the Masters tournament for the first time since 2015. Woods' finish at the recent Valspar Championship at Innisbrook, in which he finished joint second having shot -9 (just one shot behind winner Paul Casey), certainly has raised eyebrows as punters turn their attention to The Arnold Palmer Invitational. To see why Woods looks a tempting golf bet to win the tournament at 7-1 with Ladbrokes, it's worth looking at his recent form curve. Woods Coming Into Form for Backers? On the PGA Tour in 2018, Tiger has played in four tournaments – finishing 23rd at the Farmers Insurance Open, missing the cut at the Genesis Open and taking position 12 at the Honda Classic prior to his second place in the Valspar. His all-round game was looking good and there were already mutterings about Augusta in April. And those mutterings have grown louder after his 2nd-place finish, which included him topping a PGA leaderboard for the first time at any time during a tournament since 2015. Couple that with the fact that his finishing position was his best since August 2013, and hopes are high for the Arnold Palmer at odds of 7/1 to win. If punters need another incentive to back Tiger Woods, then his affinity for Florida and the Bay Hill golf course should be it. Indeed, the 42-year-old has taken the winner’s trophy four of the last five times he's played in the tournament. Furthermore, in total, he's won the event on no less than eight occasions, including four in a row between 2000 and 2003, some of his most dominate years. Woods hasn't played at the Orlando course since winning in 2013, when his victory elevated him to world Number One, but he loves Florida, not least because it's where his children were born. Further intrigue is added by the fact this will be the first time Woods has played in the event since the death legend Arnold Palmer. Can Any US Masters Hopefuls Challenge Woods? Tiger Woods certainly isn't the only player who will be looking for a confidence-boosting performance this weekend, prior to the US Masters. Indeed, behind Woods in the betting are 6 players with Masters aspirations – Jason Day, Justin Rose, Rory McIlroy, Rickie Fowler, Tommy Fleetwood and Tyrrell Hatton. Thanks to Woods' recent performance which surprised pretty much everyone, he's pushed the odds out on every other player in the Arnold, so there's potentially excellent value lurking in the pack at an each-way price. However, few of the players are in hot enough form to legitimately match that of Woods. The exception is Jason Day – a 16/1 shot for the US Masters who won the Farmers Insurance Open before finishing an excellent tied-second in the Pebble Beach Pro-Am last month. Day looks great each-way value at 12-1 for the Arnold Palmer Invitational. 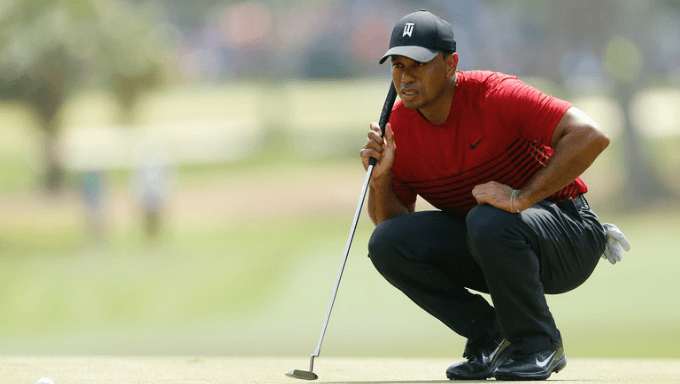 Back Tiger Woods to get on track by winning the Arnold Palmer Invitational at 7/1 and Jason Day each-way at 12-1 by visiting LeoVegas online sportsbook today.